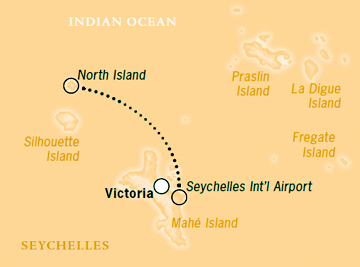 Seychelles is a year-round destination, thanks to its tropical Indian Ocean location just south of the equator. 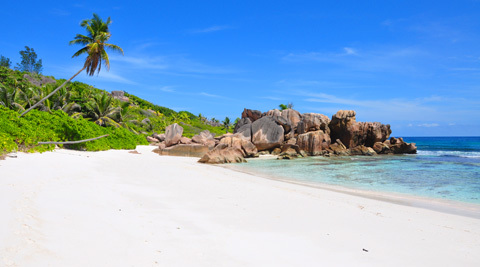 Its stark white beaches and crystal waters are peppered with massive, granite boulders, ancient remnants of once being conjoined with the great African continent. 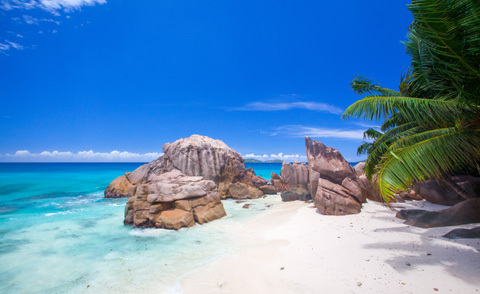 Seychelles is one of the few truly untouched ecosystems left on earth, worthy of the distance one travels to savor it. North Island is a sanctuary with a delicate carbon footprint, where endangered plant and animal species have been carefully reintroduced. Designed to please the most discerning guest, each grand, private villa is handcrafted from natural materials and opens out to the sea. Service is always discreet, allowing you to enjoy your surroundings and completely escape. Part of the world’s longest coral reef system, North Island offers some of the world’s best scuba diving and snorkeling sites. North Island cuisine is influenced by Africa, France, Southern India and Southeast Asia and is combined with the organic resources of the island and the Indian Ocean, to create exquisite meals.